The other day I happened upon Stripes on Netflix and it occurred to me that, even though I knew about it, I wasn’t sure I’d ever seen it. However, I did have an overall idea of the movie as an anti-war comedy starring Bill Murray as a counterculture hippie whose mission was to stick it to the man by joining the army. So I pressed play and, sure enough… that’s not the movie I got at all. Maybe I was expecting Animal House (1978) or something more akin to that film’s anarchic spirit. 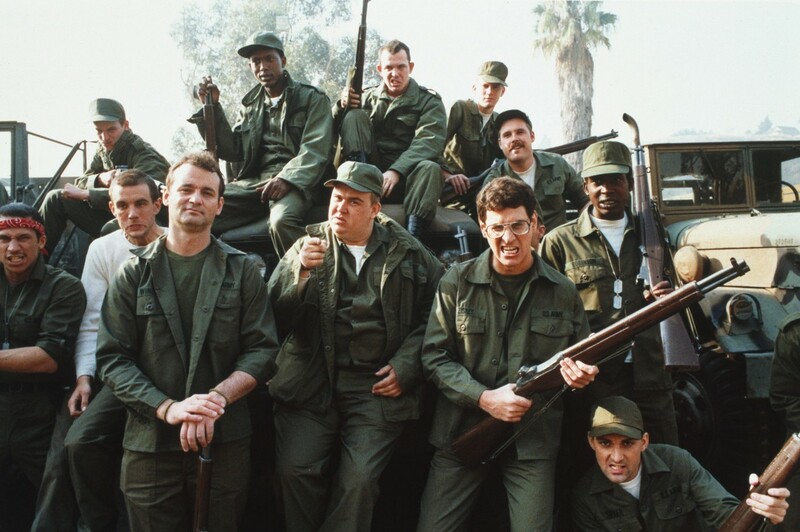 Instead, Stripes is a fairly conventional 80’s farce about John and Russell (Murray and Harold Ramis), two losers who bumble their way through basic training while driving their drill sergeant (Warren Oates) nuts. And while some of the comedic elements are certainly at the expense of the military, this is not a high-minded spoof: The film ends with a ridiculous third act that has the two buddies infiltrating a Soviet encampment in a tank disguised as an motorhome. Ah, the 80’s. Still, Stripes is fun, specially if Murray’s your particular cup of tea. Plus there’s also John Candy as a misfit soldier and Sean Young as a pretty MP. It almost makes me want to enlist.